Gathering the components that shape the finished good is a very critical issue during furniture production. 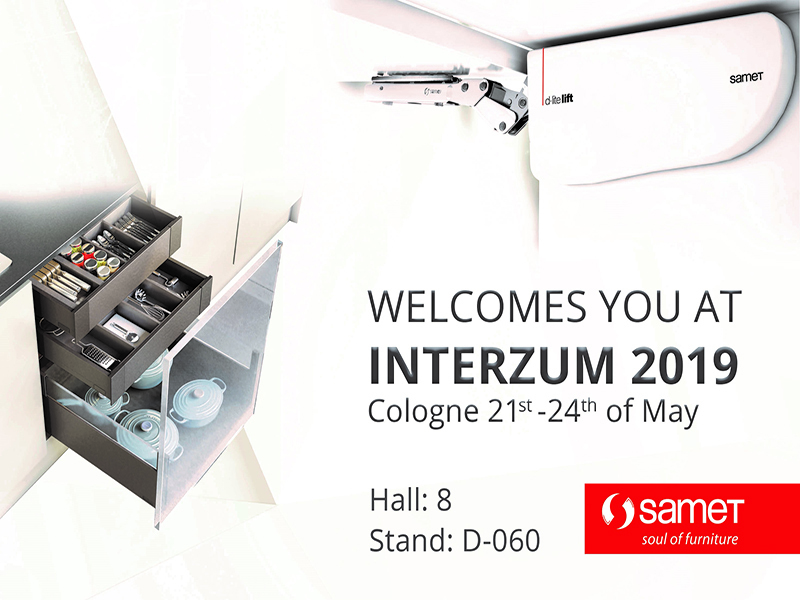 SAMET’s furniture connection systems allow the world to very easily mount and connect furniture pieces, without facing a quality tradeoff. Enjoy the easiness and the stability. Samet cares for every detail during the procedure of wood becoming a piece of furniture. Samfix is used in furniture manufacturing for corner connections of wood components. 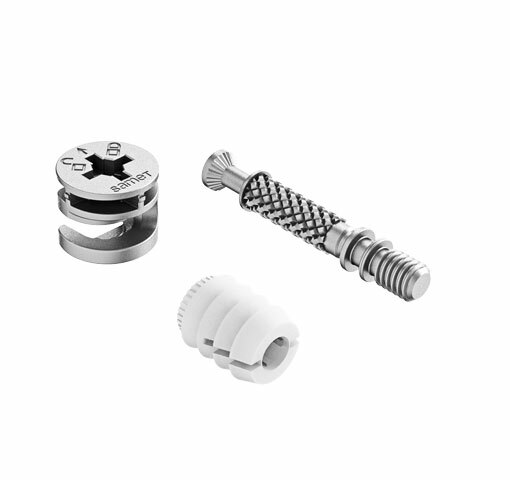 It supplies an easy and fast assembling opportunity by screwing bolt into the dowel. Thus, it supports the occasion of assembling two vertically adverse wood surfaces with each other. Due to the expansion of dowel, furniture can very simply be assembled and disassembled. Moreover, the product can be used more than once. 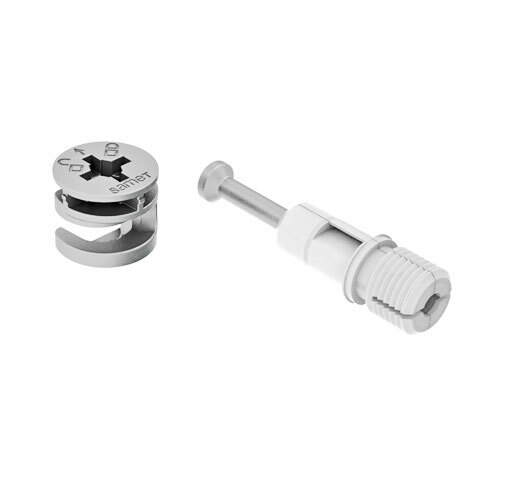 Just a simple movement with the screw driver, which enables fastening of pin by turning towards the locking sign and the mounting of your furniture is done. 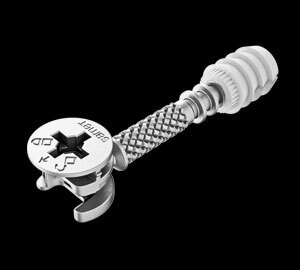 Finally, you can place the cover cap on the pin’s top to assure an esthetic coverage. Jetfix is used in furniture manufacturing for corner connections of wood components. It supplies an easy and fast assembling opportunity by unifying bolt and dowel in one product. Thus, it supports the occasion of assembling two vertically adverse wood surfaces with each other. Due to the expanding dowel which covers the bolt, furniture can very simply be assembled and disassembled. Moreover, the product can be used more than once. Just one single movement with the screw driver and the mounting of your furniture is done. Jetfix is the best choice for a stable, fast and practical connection. Daset is the connection fitting, which is used forsetting cabinets to walls. Colour choices for Daset are; brown, white, oak, pear, cherry, cream, opaque grey. It should be used as a set for right and left sides. Daset can be fixed with; classic screw based hook system, steel hanger system for side-to-side modules, 240 cm long steel hanger along the wall. Loading capacity of Daset by dual use is 80 kg.